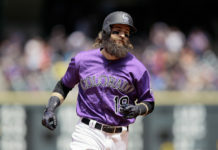 The Colorado Rockies started Memorial Day weekend off on a good note Friday night as they defeated the Cincinnati Reds by a score of 5-4. In the first game of a nine-game homestand, Colorado snuck past Cincinnati behind a solid outing from starting pitcher Jon Gray and contributions throughout all parts of their lineup. 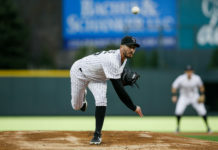 Gray had a rough start to open up the ballgame as he allowed the Reds to take a 2-0 lead in the first inning; however, managed to buckle down to keep the Rockies in striking distance throughout the night. Even though he did not have his best mix of pitches on the mound. 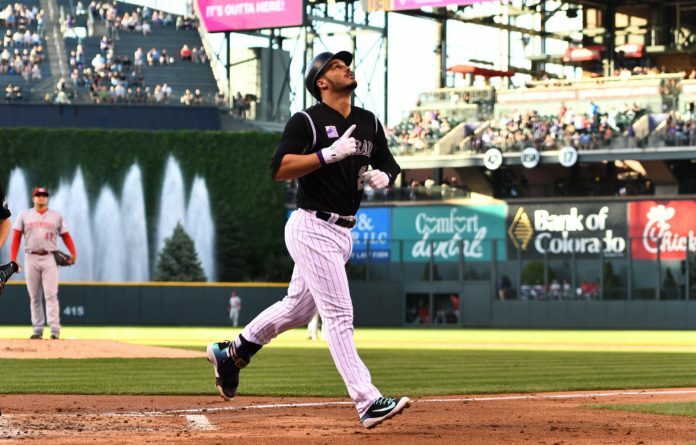 Despite the Reds early scoring, Colorado was able to get a run back in the first inning off of a solo home run to center field hit by Nolan Arenado. The two teams each worked a clean second inning, but the Reds added a pair of runs in the third inning via a two-run home run hit by Eugenio Suarez to establish a 4-1 lead after three innings. Once again, the Rockies responded in the corresponding half inning by scoring three runs. Colorado loaded the bases following a double from Charlie Blackmon, an infield single hit by David Dahl, and a walk issued to Nolan Arenado. From there, veteran Gerardo Parra hit a single to center, scoring Blackmon and Dahl, keeping pressure on the base paths for the Reds’ starting pitcher Sal Romano. After the two-run base knock, Cincinnati intentionally walked Trevor Story and then got Ian Desmond to ground into a fielders choice; however, with the bases loaded, Romano walked catcher Tony Wolters, scoring a Rockies’ run to tie the game at 4-4. The game remained deadlocked until the sixth inning when Colorado managed to plate a run off the bat of youngster Noel Cuevas who pinch hit for Gray. Cuevas ripped a triple to deep right field to score Wolters, who reached base on a walk to start the inning. From there, Rockies’ relief pitchers Mike Dunn, Adam Ottavino, and Wade Davis locked down the last three innings to solidify the victory and push Colorado’s record to 27-24 on the season. Although not his best on the mound, Gray got the win in the ballgame, which advanced his record to 5-6 on the season. He finished with a line of six innings pitched, allowing six hits, four earned runs, and three walks while striking out eight batters. Tomorrow night, the Rockies host the Reds in the second game of a three-game series at Coors Field. With the win, Colorado improves to 8-11 on the season at home.